3. Processing: skinless/skinon PBI, IQF, chemical free or chemical treated acc US rules. different kinds of business in world wild. We are importer, we are producer, we are trader, we are wholesaler, we are fish and seafood farming holder, we are animal raising factory holder. Import: we import fish raw from atlantic sea and pacific sea, mainly at pollock hg and wr, hake/hoki/hubbis hgt and wr, red fish hg and wr, salmon hg, cod hg, oilfish hgt, blue shark hgt, saithe hg, yellowfin sole hg, arrowtooth flounder hg, mackerel wr, herring wr, pacific saury wr, illex squid, ribbon fish wr, yellow croaker wr, etc. Produce & export: we produce fish fillet: alakska pollock fillet, hake fillet, hoki fillet, hubbis fillet, red fish fillet, saithe fillet, cod fillet, salmon fillet, cod fillet, oilfish fillet, yellowfin sole fillet, arrowtooth flounder fillet, etc. Trade & export: we sell tilapia fillet, vannamei shrimp, seafood mix, surimi sticks, mussle meat, frog legs, sushi ginger, roasted eel, mushroom, starberry, blue berry, carrot, cabbage, etc. 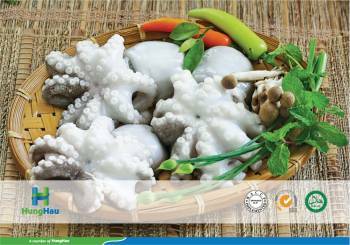 Farm & wholesale: with more than 150,000 square meter poll, we farm sea cucumber and sell to local market, and export dry sea cucumber. Aminal rasing & wholesale: with more than 70,000 square meter rasing factory, we feed 20,000 pigs per year and sell pork in local market of china.